Our Geophysics MGeophys, BSc is a four-year Integrated Masters degree with a year spent in New Zealand, Canada or the USA, experiencing geological settings that don’t exist in the UK. If you have a strong interest in geophysics research this degree may be for you. 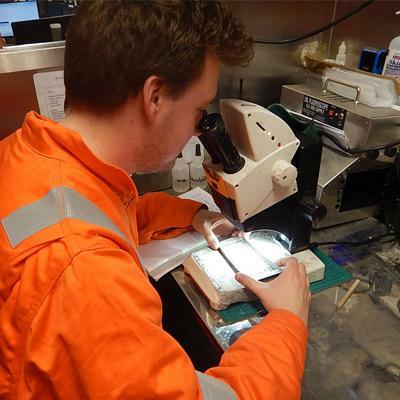 It draws on the expertise and active research of one of the UK’s largest teams of academic geophysicists. 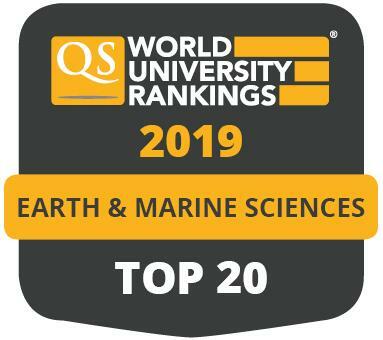 You’ll study all aspects of geophysics, such as exploration for hydrocarbons and mineral deposits, monitoring natural hazards, investigating the interior of the Earth and other planets, and measuring the movement and deformation of the Earth's tectonic plates. Beside its broad range of geophysics content, this degree stresses analytic and numeracy skills that are highly valued by geophysics companies, research institutions, and financial and government departments. There's a strong emphasis on applying your knowledge in the real world through practical hands-on learning and field trips, in national and international destinations. We have invested in a range of industry standard geophysical equipment, one of the most complete collections in the UK. An accredited degree is the first step to becoming a Chartered Geologist, an increasingly important professional qualification. Each year of the course is designed around a combination of compulsory core modules. In addition to these, you choose optional modules, which allow you to follow your areas of interest. In your first year you’ll study compulsory modules only, training you in the fundamental skills in geology, maths, physics, geophysics and computer programming that you will use throughout your degree. Students who don’t have A-level Further or Pure Maths will also study a module “Intermediate Mathematics for Environmental and Geophysical Scientists”. Students with this A-level study a discovery module. In your second year compulsory modules train you in the key geophysics techniques used in resource exploration and the study of tectonic plates. You will also study advanced mathematical and computer programming needed to understand and process geophysical data. Optional modules allow you to specialise in topics from exploration geophysics, natural hazards or physics. You will spend your third year studying abroad at one of our partner universities. The marks you receive are translated to Leeds equivalents and count towards your final degree classification. The topics you study will depend upon your interests and your choice of destination. Staff at Leeds will help you choose which destination and classes are right for you. Year 4 includes a project that allows you to do research with a member of staff on a topic of mutual interest. 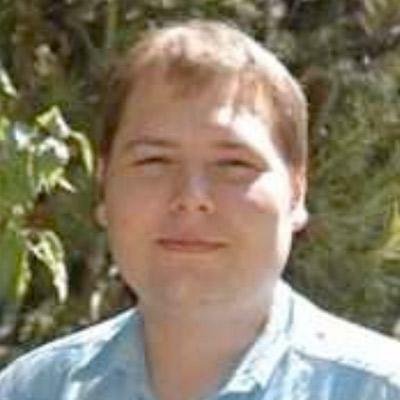 Recent projects have involved machine learning, study of the Earth's core, computational physics, study of volcanic systems and earthquakes using satellite data and archaeological geophysics. In compulsory modules you will study the global structure and dynamics of our planet, and attend seminars from visiting researchers from around the world. Optional modules allow you to pursue interests in, for example, volcanic systems, or the petroleum and energy sector; some of these modules will give you a taste of the topics on offer in our one-year vocational MSc degrees. Most modules combine lectures with practicals, workshops or seminars, depending on the subject. These are enhanced with skills classes, fieldtrips and small group academic tutorials. You can expect to study in a variety of settings, from large lecture theatres to computer clusters, seminar rooms, tutorials, laboratories, visualisation suites and out in the field. Our state-of-the-art building is in the centre of the campus and provides an ideal working environment, and offers quiet study and coffee areas when you are not in class. A-level: A*AA including mathematics and physics. If you do not achieve the higher grades required for this four-year programme, we guarantee you a place on the BSc programme (provided you achieve the grades required for the BSc). A successful performance during years 1 and 2 will support an application to transfer back to this Integrated Masters programme. D*D*D in Extended Diploma/3 Subsidiary Diplomas in Mathematics and Physics. We will accept a combination of BTECs and A-Levels. Please contact the School's Undergraduate Admissions Team for more information. D2, D3, D3 including Mathematics and Physics. 35 points overall, with 19 points at higher level to include 6 points in Mathematics and Physics. A1A1AAAA/H1H1H2H2H2H2 including Mathematics and Physics. AAABB overall with AA in 2 Advanced Highers (AH). For non-AH applicants AAAAAA. To include Mathematics and Physics. Geophysics graduates are in demand among companies that value teamwork skills, independence, numeracy and scientific literacy. Graduates from this programme often pursue PhD research, but are also in a good position to enter exploration geophysics companies. 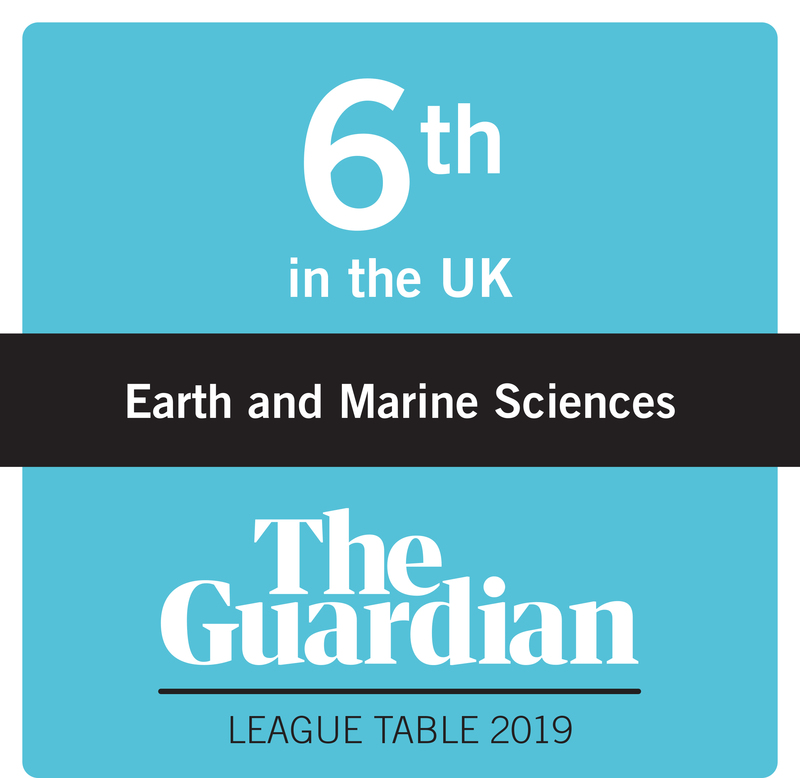 The School of Earth and Environment at Leeds was the first Department in the UK to offer integrated degrees with a year in North America and we extended the scope of this highly successful programme by offering additional partner institutions in worldwide. Spending a year abroad is not only an adventure, it is a chance to add real value to your degree by experiencing geological settings that simply don’t exist within the UK. Academic staff members and the University’s Study Abroad Office will offer you their guidance and help as you prepare for your year abroad. You also retain the option to change to the three-year BSc Geophysics programme at any stage during your first two years of study should you decide not to pursue this option.